Twenty portraits on a traveling exhibit help the American Lung Association tell a cautionary tale about influenza and the need for vaccination. 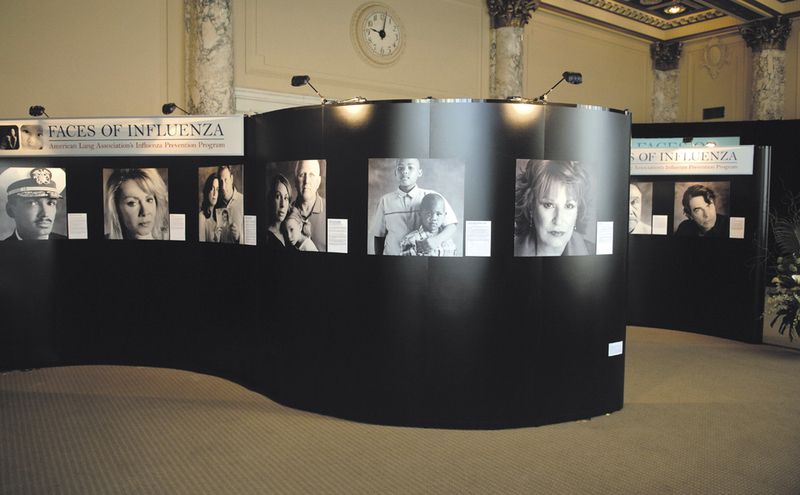 "The simplicity and elegance of the Skyline display allowed us to showcase the striking portraits for maximum impact," says Fred Lake of the Cooney/Waters Group, the health-care communications firm that developed the Faces of Influenza initiative on behalf of the American Lung Association. "The detail is amazing. We started with outstanding photography, and that quality comes through in every graphic," Lake says. 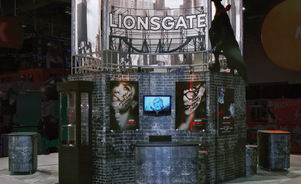 The exhibit was designed to be elegant and affordable. 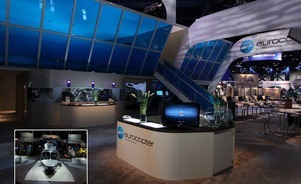 The double-sided units total 60 linear feet of display with efficient use of floor space. 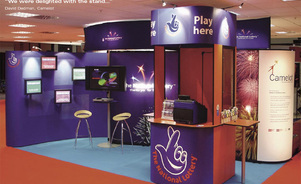 The curved displays can stand alone or with two or three in a serpentine layout. 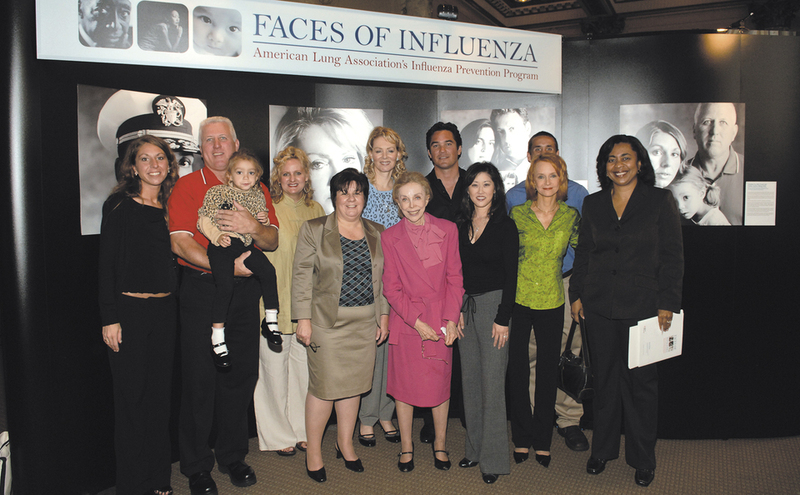 At the exhibit, the Association hosted celebrity appearances, educated visitors about the disease and vaccination, and administered immunizations for the potentially deadly virus. 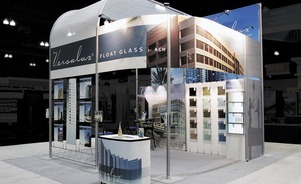 Cindy Coulter got everything she wanted in a new exhibit for the architectural division of ACH Glass Operations. 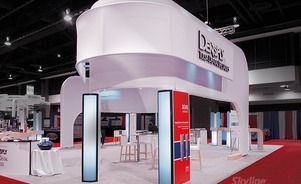 Knowing that even a dominant player needs to make a strong impression when entering a new market, two merged divisions of Dentsply International upgraded to a brand-building 40’-by-50’ custom modular exhibit.